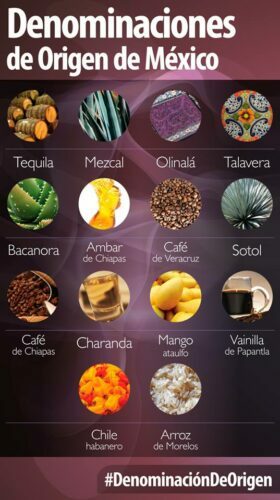 Denomination of origin status (aka designation of origin, appellation of origin) has been awarded over the years to numerous Mexican products (see image). The status provides some legal protection to the use of the name and sets geographic limits on the areas where the items can be produced. The general declarations of denominations of origin are issued by the Mexican Institute of Industrial Property and published in the official federal broadsheet Diario Oficial de la Federación (DOF). 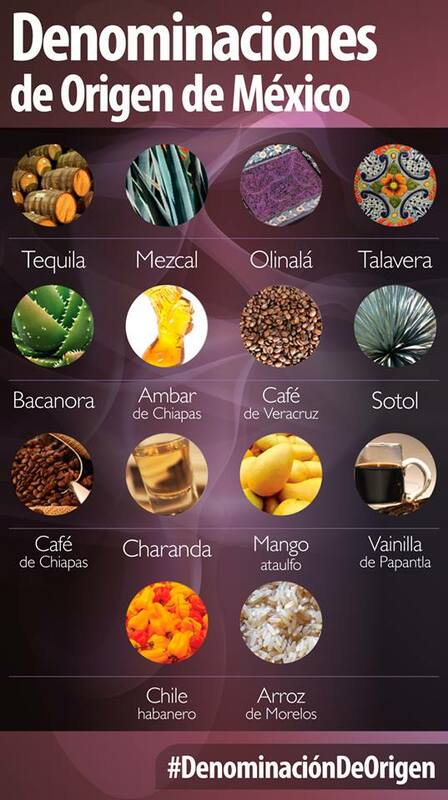 Perhaps, therefore, it is not surprising that Mexican cuisine has been acclaimed as one of the most varied in the world. In 2010, the traditional Mexican cuisine of Michoacán was added to the UNESCO List of the Intangible Cultural Heritage of Humanity. Mexican cuisine was up for more international awards this week when 10 of the country’s restaurants made the list of the top 50 in Latin America. The World’s 50 Best organization named eight restaurants in Mexico City and one each from Nuevo León and the State of México among the 50 best in Latin America. Three of them — Quintonil which placed sixth, Pujol ninth and Biko 10th —also made the list of the world’s top 50 this year. They were followed by the only restaurants outside the Federal District: Pangea in Monterrey, Nuevo León, which placed 13th, and Amaranta in Toluca which was 22nd. The other winners were Sud 777 (27th), Máximo Bistrot (41), Rosetta (44), Nicos (47) and Dulce Patria (49). 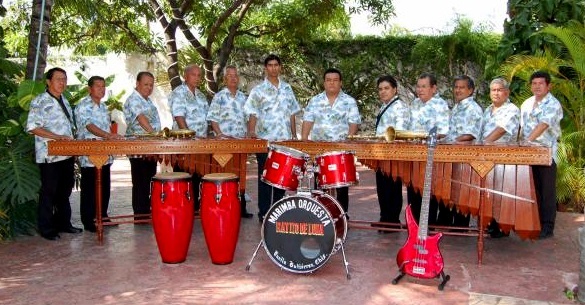 Other aspects of Mexican life and culture on the UNESCO list include the Indigenous Festivity dedicated to the Dead (added in 2003); Places of memory and living traditions of the Otomí-Chichimecas people of Tolimán: the Peña de Bernal (2009); the Ritual ceremony of the Voladores in Veracruz (2009); Parachicos in the January fiesta in Chiapa de Corzo, Chiapas (2010); Pirekua, the traditional song of the Purépecha, Michoacán (2010); and mariachi music (2011). 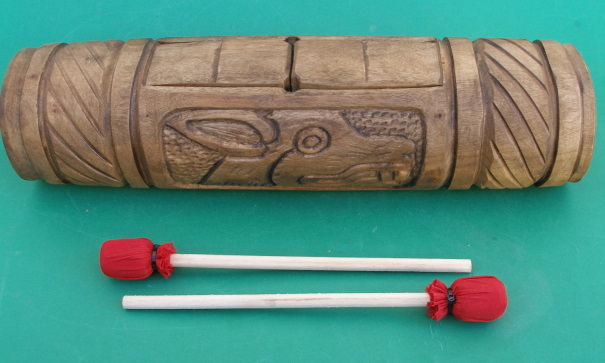 Many of the arts and crafts found in Michoacán date back to pre-Columbian times, but now incorporate techniques and materials that were brought from Europe and elsewhere. Many of the introductions occurred during the time of Vasco de Quiroga (ca 1470-1565), after whom the town of Quiroga, at the eastern extremity of Lake Pátzcuaro, is named. Visitors to Michoacán area often amazed to discover that towns even only a few kilometers apart have developed completely different handicrafts, and that all the handicraft workshops in any one town seem to focus on making precisely the same items. If one workshop in a town specializes in wooden items, all the neighboring workshops appear to do the same. Just how did these very distinctive spatial patterns come about? The answer to the oft-asked question, “Why does each town in Michoacán have its own handicrafts?”lies in the history of this area and, in particular, of the efforts almost five hundred years ago of one Spanish priest. Who was Vasco de Quiroga? Vasco de Quiroga trained originally as a lawyer. He later took holy orders and arrived in the New World in 1531, already in his sixties. He gained rapid promotion and six years later was appointed Bishop of Michoacán, with the express purpose of trying to clear up the mess left by Nuño Beltrán de Guzmán’s rampage through western Mexico, and to placate the bad feelings of the indigenous Purépecha populace. Vasco de Quiroga based his approach on the Utopian principles espoused by Thomas More. He established a series of communities in the vicinity of Lake Pátzcuaro, the heart of Purépecha country, improved security, and set up hospitals and schools serving the local people. Recognizing the importance of agriculture, Vasco de Quiroga introduced European implements and methods as well as new crops, including wheat and other cereals, fruits and vegetables. Perhaps his most noteworthy introduction was the banana. The first bananas to be grown anywhere in Mexico were brought by Vasco de Quiroga from Santo Domingo in the Caribbean and planted in Tzintzuntzan. Alongside religious instruction, Vasco de Quiroga organized training in arts and crafts. His efforts quickly won over many of the local people who came to acknowledge that the hostility they had experienced from their first contacts with Europeans was not typical of all the newcomers. The kindly Bishop came to be sufficiently respected by them to be awarded the honorific title of “Tata” (“Father”) Vasco. The local indigenous Indians had already developed the skills needed for varied ceramics, wood and leather products, copper items, and woven cotton and agave fiber textiles. They also used the local lake bulrushes (tule). Vasco de Quiroga introduced new techniques which allowed the artisans to multiply their production. 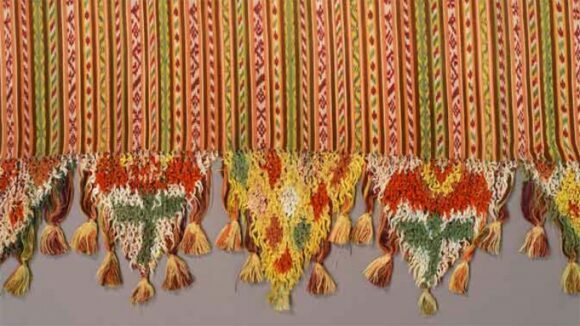 To encourage specialization, and limit direct competition between villages, “Tata” Vasco allocated specific crafts to specific places, a pattern that continues to the present. 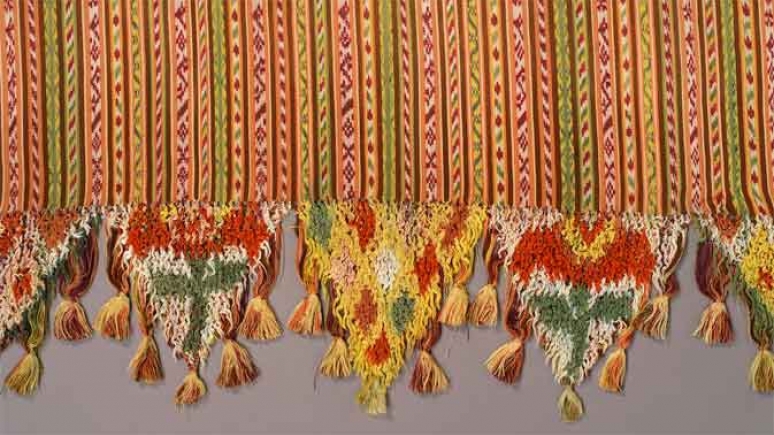 The particular handicraft developed in each village also reflects the availability of local raw materials such as bulrushes needed for mats, or clay for pottery. On account of the fine quality of local clays, the making of ceramics was encouraged in the villages of Tzintzuntzan, Patamban, Santa Fe de la Laguna, Capula and Pinícuaro. Ironworking and locksmithing were introduced in San Felipe de los Hereros; quilting and embroidery in San Juan de las Colcahas, and so on. The arts and crafts skills in the villages around Lake Pátzcuaro and elsewhere in Michoacán have been passed down to this day, becoming more finely honed with each successive generation, producing craftsmen who are among the finest in the country. They are responsible for a truly amazing variety of handicrafts, fine art and furniture items. Given this partial listing, is it any wonder that Michoacán is one of the best states in Mexico for finding interesting handicrafts? Happy shopping! The center of Mexico’s silver craftsmen and silver making industry is the city of Taxco, in the state of Guerrero. Several pre-colonial groups had developed the technical skills needed to fashion elaborate and complex silver items, especially jewelry, but knowledge of these techniques had largely died out by the start of the 20th century. Somewhat surprisingly, the silver-making industry was reignited in Taxco by an American, William Spratling. Spratling (1900-1967) was an American-born silversmith and artist, best remembered today for having reinvigorated 20th century Mexican silver design. 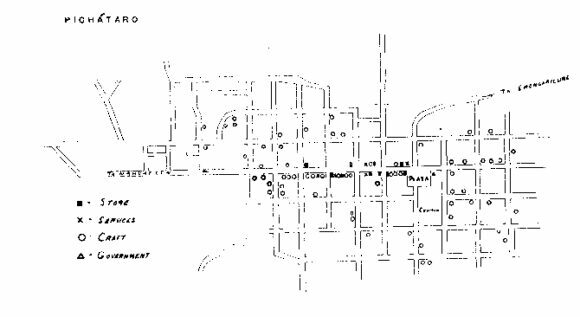 Spratling started a small silver industry in the picturesque town of Taxco in the state of Guerrero in 1931, with the intention of benefiting local people. 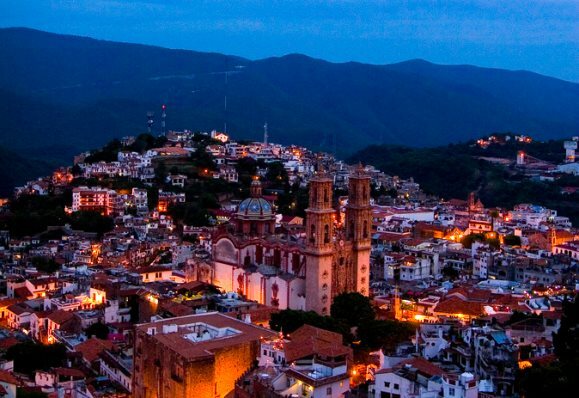 Taxco was one of the earliest silver-mining areas exploited during colonial times. 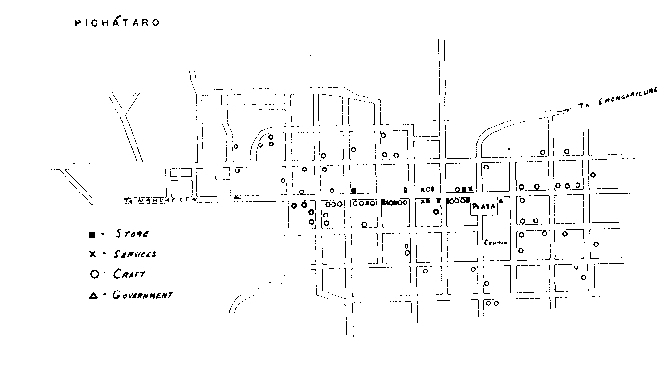 Local silver mines were still important in Spratling’s day, but have since closed, with silver brought in to Taxco from elsewhere in Mexico. William Spratling’s designes were based on pre-colonial motifs and he trained local craftsmen to produce them in his workshop Taller de las Delicias. He gained a reputation for fine designs and excellent workmanship. Many of his apprentices went on to found their own silver workshops. Silver working became very popular in Taxco and the town gradually transformed itself into Mexico’s premier showcase for high quality silver work of all kinds, from jewelry to tableware. Over the years, the town attracted shoppers and has also become a very important tourist destination. Sometimes called the “Father of Mexican Silver”, Spratling not only sold silver locally in Taxco, but also supplied silver items to stores such as Neiman Marcus and Saks Fifth Avenue in New York and elsewhere. Some of his earliest work was inspired by stonework reliefs in nearby archaeological sites such as Xochicalco. The William Spratling Museum near Taxco’s main plaza showcases his personal collection of archeological pieces as well as his original silver-work designs and workshops. Silver-working exists in many other Mexican towns and cities, but Taxco is the premier place in Mexico for tourists interested in seeing or purchasing fine silver. The town celebrates the National Silver Fair (Feria Nacional de La Plata) in late November each year. The 76th annual Silver Fair runs from Saturday 30 November to Saturday, 7 December 2013. Of several books about Spratling, Sandraline Cederwall’s Spratling Silver stands out. Cederwall is a pre-eminent collectector-dealer of Spratling silver. The latest edition of this work includes an expanded text, many new photographs, and a biographical essay by Barnaby Conrad, a friend and contemporary of the noted silver designer. The book features dramatic black-and-white photographs of silver artworks, underscoring the “intelligent, simple, restrained” yet appealing style that makes Spratling’s designs so collectible. The copper industry in Mexico embraces two extremes: from a major Mexican multinational, Grupo México, to hundreds of dedicated, but poorly remunerated coppersmiths living in a small town in Michoacán. Cananea – this mine, which dates back to 1899, produced 163,804 tons of copper in 2006. It has some of the largest reserves in the world. La Caridad – proven reserves of 600 million metric tons. Chihuahua (4%), where copper is mined at Santa Bárbara and Naica. 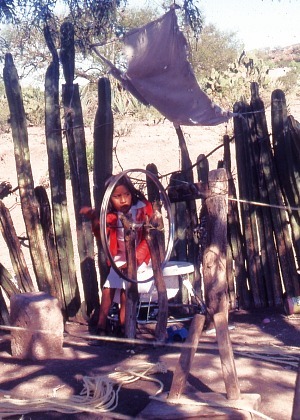 minor amounts are also obtained in Durango, Hidalgo, Michoacán, the State of México and Sinaloa. The artisans of Santa Clara del Cobre are justly world-famous for their coppersmithing skills. A great time to visit the town, one of Mexico’s Magical Towns, is during the annual Copper Fair. The XLV National Copper Fair and LXV Hammered Copper Competition run from 7-17 August 2010. The competition offers 89 prizes with a total prize fund of 414,000 pesos (33,000 dollars). How did Santa Clara, in Michoacán, come to be associated with copper working? In pre-colonial times, local Indians mined for copper in various regions of Mexico including the state of Michoacan in Central Mexico, where the local P’urhepecha Indian group produced magnificent copper, gold and silver jewelry. They also made copper handaxes, used as currency throughout MesoAmerica. 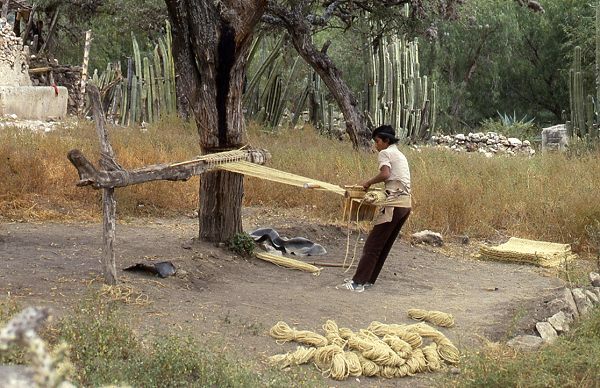 In 1538, the Spanish missionary, Vasco de Quiroga, the first Bishop of Michoacan, helped develop local crafts. 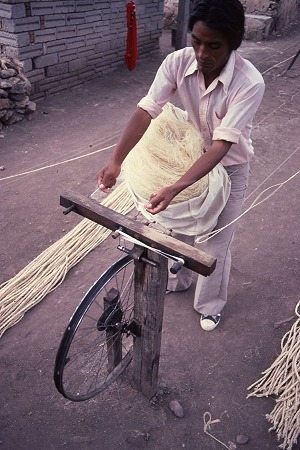 To avoid competition between villages, he encouraged each village to specialize in a particular craft. Coppersmithing was the craft allocated to Santa Clara (now Santa Clara del Cobre). 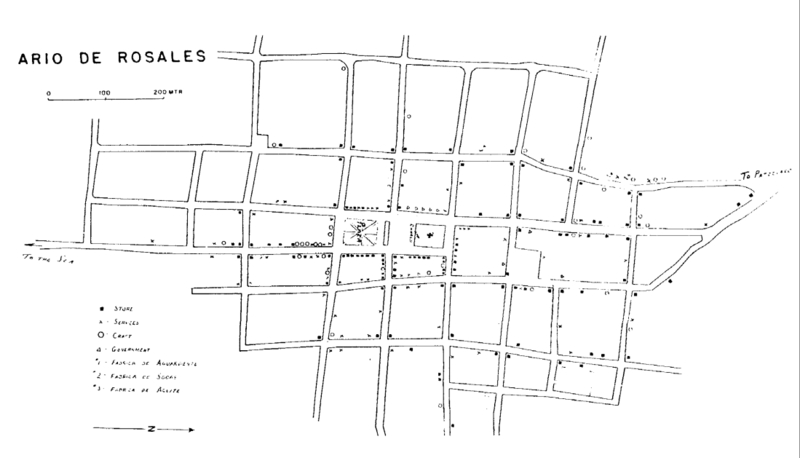 Santa Clara became the most prominent copper-producing town in colonial New Spain. During the 17th century, the town was the main source for hand-hammered copper kettles.In the 20th century, when demand for these collapsed, the townspeople, supported by government programs, started making a variety of other objects. A National Copper Fair was started, and state-sponsored coppersmithing competitions began. Santa Clara de Cobre has a museum dedicated to copper working, where many of the prize-winning entries from previous years are displayed. 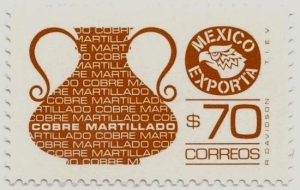 Further artistic and commercial impetus to Santa Clara copper came in the 1970s from American James Metcalf and his Mexican wife Ana Pellicer. Metcalf created the Olympic torch for the 1968 Mexico City Olympic Games. While most copper pieces are designed to be utilitarian, the number of decorative items has increased in recent decades, with many items incorporating other metals, stone and ceramics. Many of the workshops continue to employ traditional techniques; a single hand-crafted piece may take an entire month to make. About 82% of households in Santa Clara depend on copper working for their livelihood. The town has more than 300 workshops. Between them, they transform 450 tons of copper a year. In an average year, sales of copper items reach about 4 million dollars. Smelting the copper in colonial times required large quantities of charcoal. Charcoal production contributed greatly to the region’s deforestation. The industry depends on recycled copper wire and cable, which in some years includes imports from the USA. One of the great ironies of this is that American tourists now visit Santa Clara to buy back (admittedly at a much higher price and in a more artistic form) the same copper they once threw away. 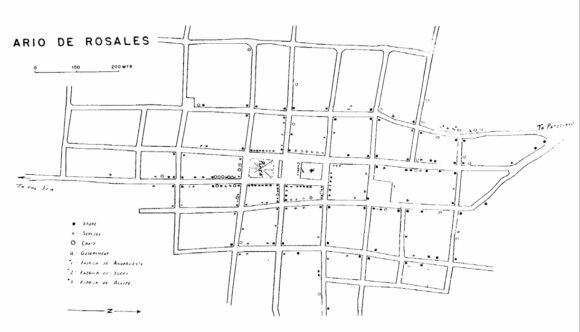 When electricity was first brought to Santa Clara, it is said that the electric company had a hard time keeping the lines functioning as they were often stolen to be hammered into copper posts and pans for the next market day. Perhaps Santa Clara’s most famous son is J. Jesús Pérez Gaona, better known as “Pito Pérez”. Born in 1867, he began studying to be a priest, but never completed his studies. He then became a clerk, a drunkard and—mainly—a wonderful dreamer. He was immortalized in Rubén Romero’s great work, “La vida inútil de Pito Pérez” (The useless life of Pito Pérez), later turned into a movie. Mexico’s mining sector is analyzed in chapter15 of Geo-Mexico: the geography and dynamics of modern Mexico. Buy your copy of this invaluable reference guide today!